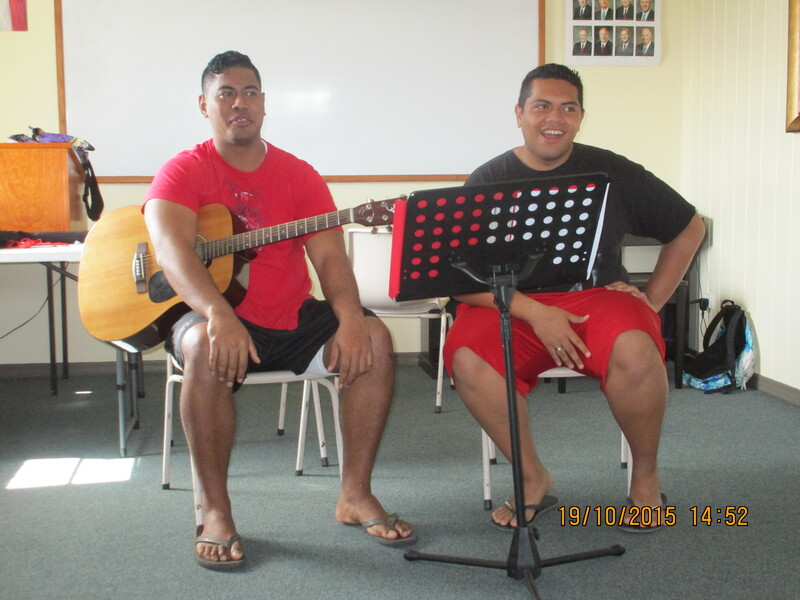 October 19 – 25 – Craig and L'Or L.
We started the week with a private concert, thanks to our talented YSAs. A group stopped by the Institute and started jamming just for fun, then decided to pick songs to practice and perform for us. Could a mission ever be more fun?! 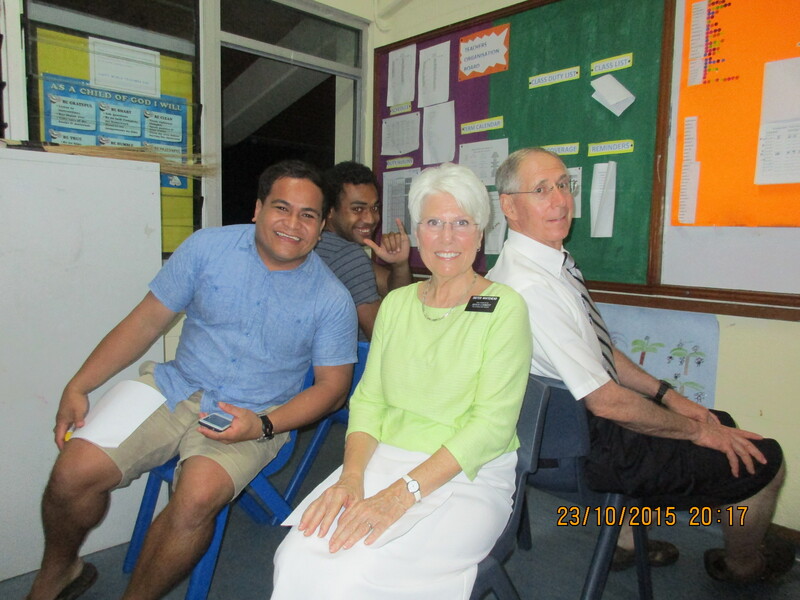 It all started because Siti (red shorts) wanted to get together and sing before leaving for his mission. Sean and Siti were amazing! 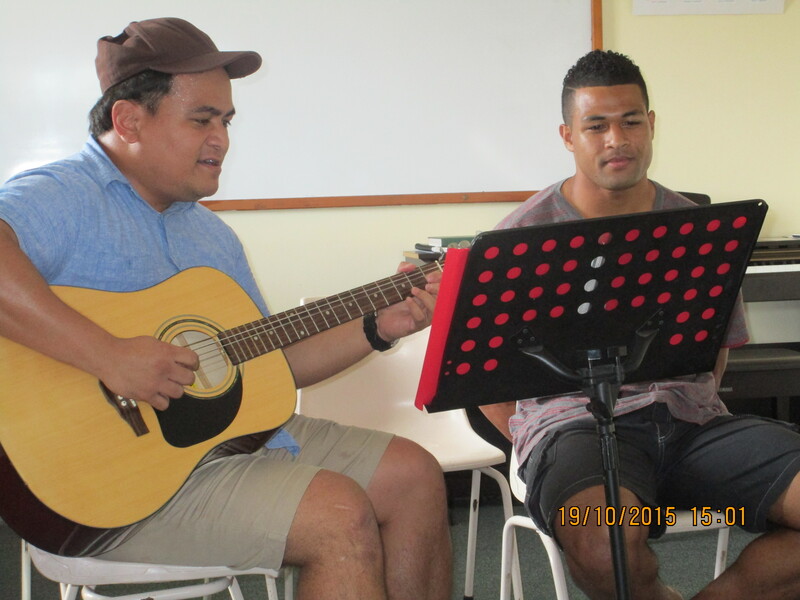 David and Manny were so good, we decided we need to have a talent night so everyone can hear them. Dr Rick and Ann Nielson are volunteers from Canada who will be here six months testing eyesight and distributing 6,000 pairs of eyeglasses collected by the Lion’s Club. In an assembly at the LDS College (high school), the Nielsons taught students how taking care of our eyes helps us see clearly, how living the gospel helps us see clearly spiritually, and that without the gospel, our vision is limited. The students loved their presentation, and are excited to be tested. 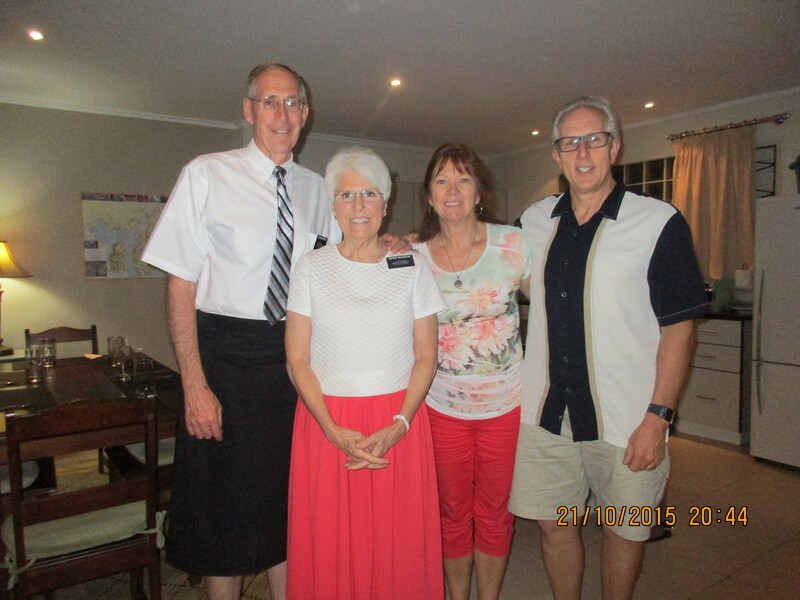 The Nielsons also came to our flat for dinner. It was fun to get to know them, and learn even more about our eyes. Their message: wear sunglasses and hats! At a ward YSA fireside on Friday, we were part of a panel of married couples answering questions about dating and marriage. It was a geat evening – laughing one minute, and listening to tender stories the next. The common thread was how much happier we are when we include the Lord in our relationships. After the discussion we had fun playing the game where one person describes a picture they see to a partner who draws it. 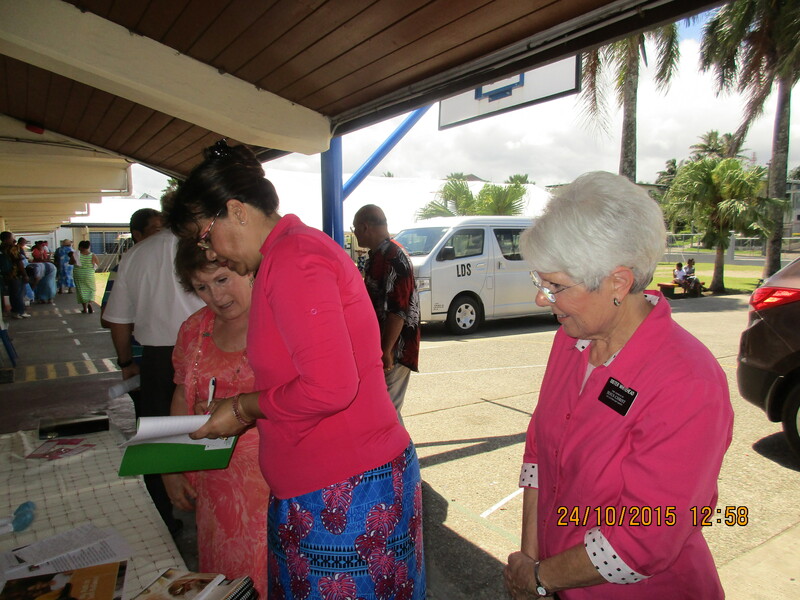 The ceremonial handover of colorful cushions, pillow and mattress covers sewn by the Relief Society sisters. Sis. 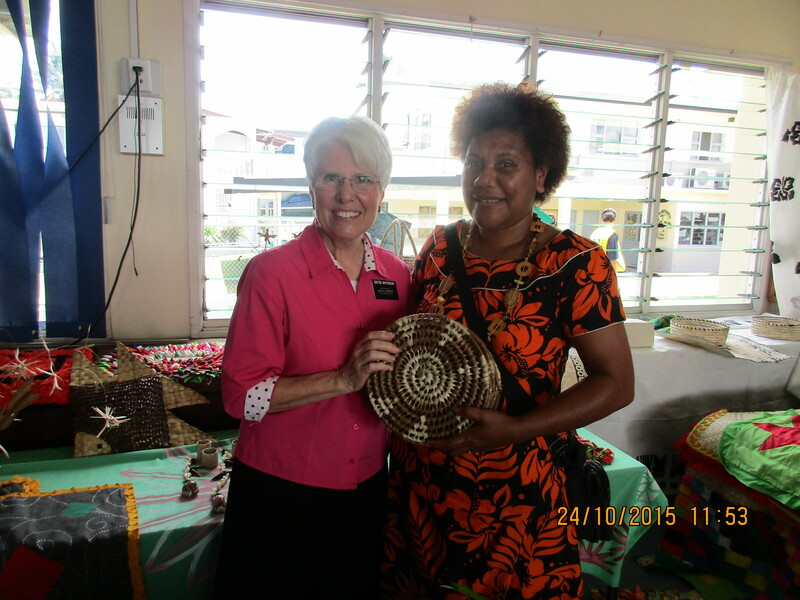 Cama made and sold these beautiful trivets by wrapping Viovio (Panadana leaves) around sticks from sasa brooms. 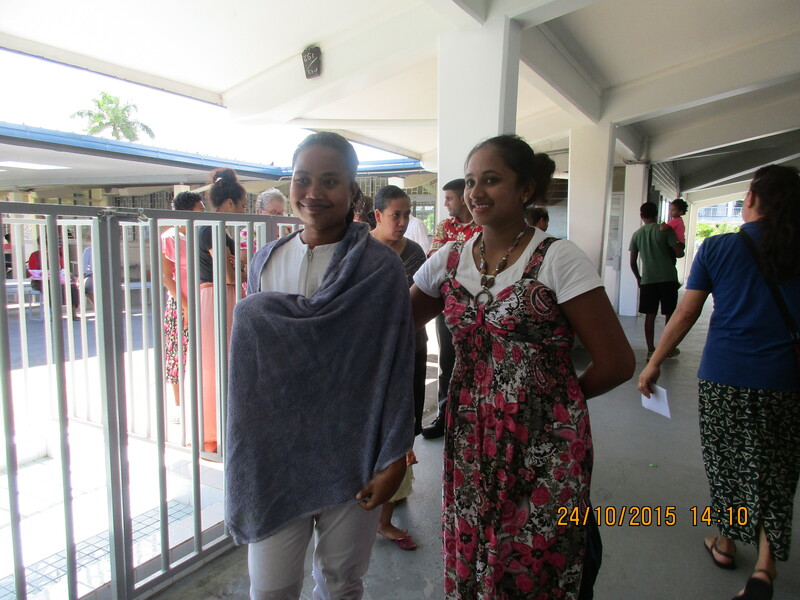 Sereana, a wonderful YSA from Kiribati, after her baptism. 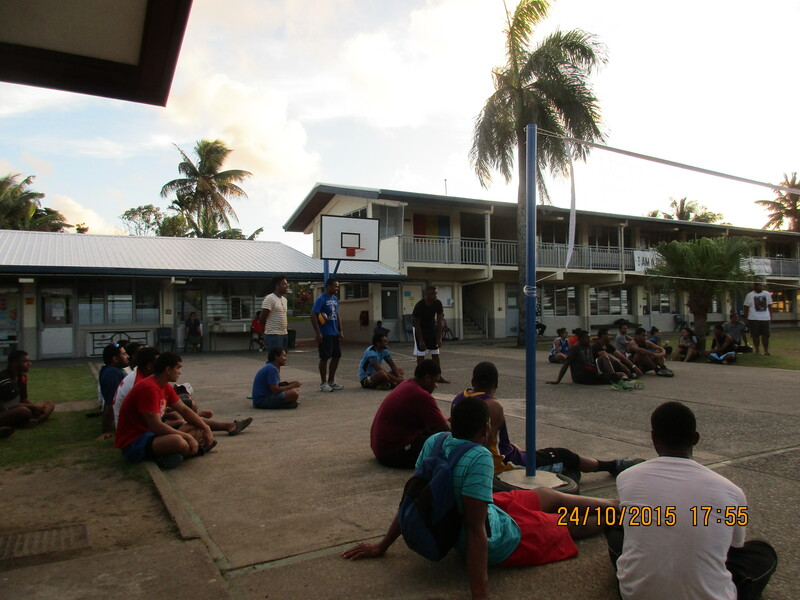 As soon as Sereana’s baptism ended, we started our YSA sports day! 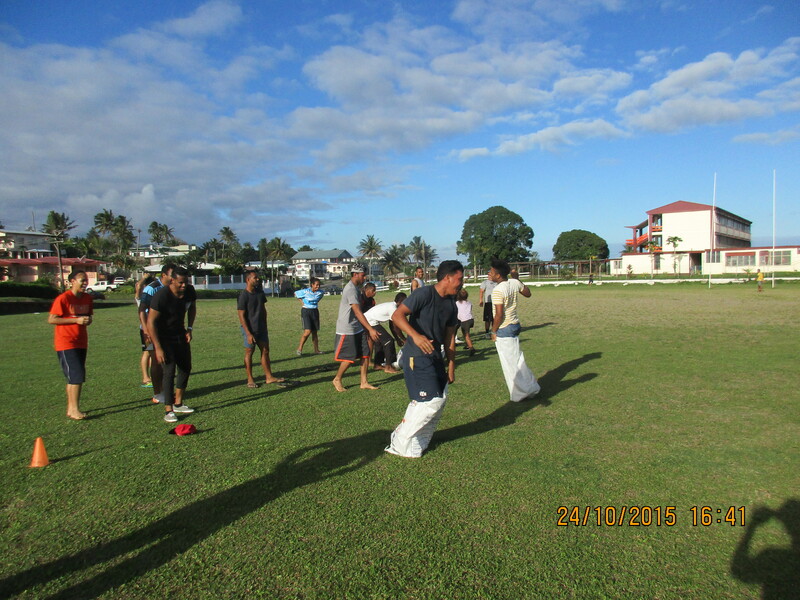 Sack races were a scream! 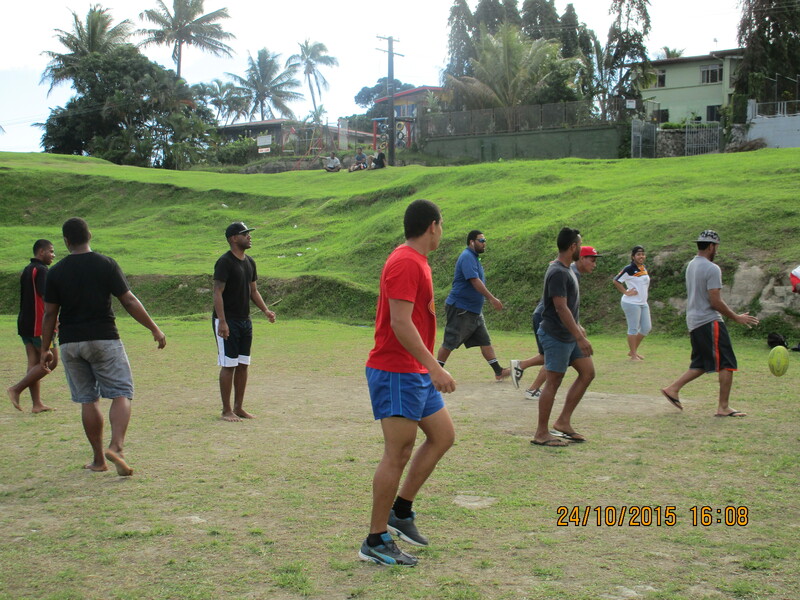 Can you even have a sports day without rugby? 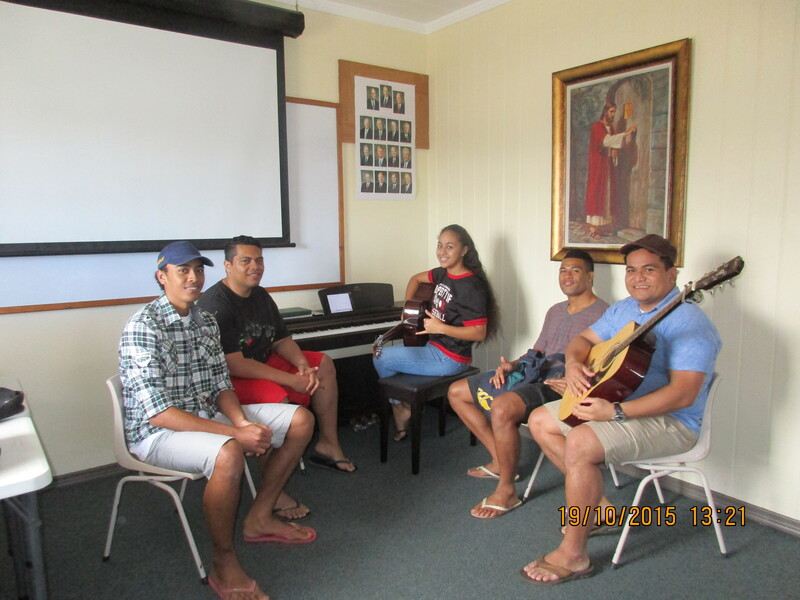 …and to sing “God Be With You” to Onesina, Jimmy, Tu’u, and Ephraim, who will be leaving this week. That’s what we call a SUPER Saturday! 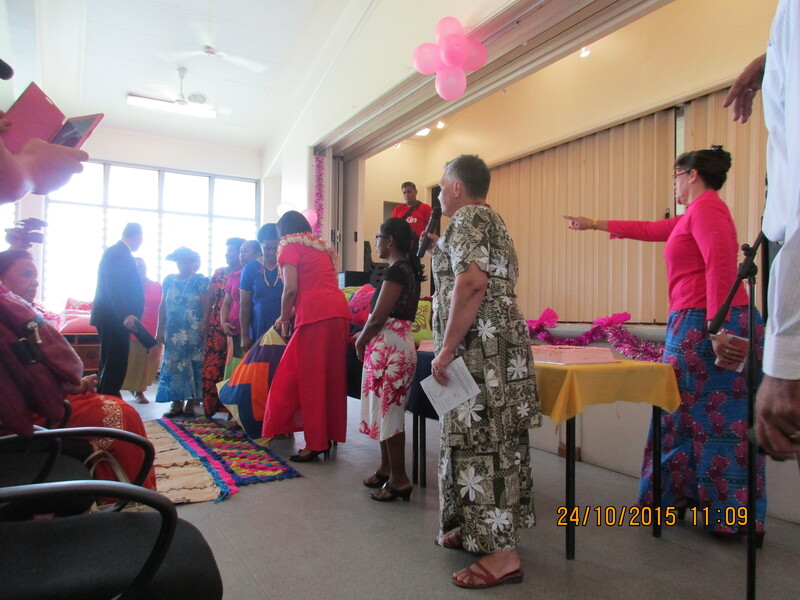 Some were also presented beautiful salusalu leis. 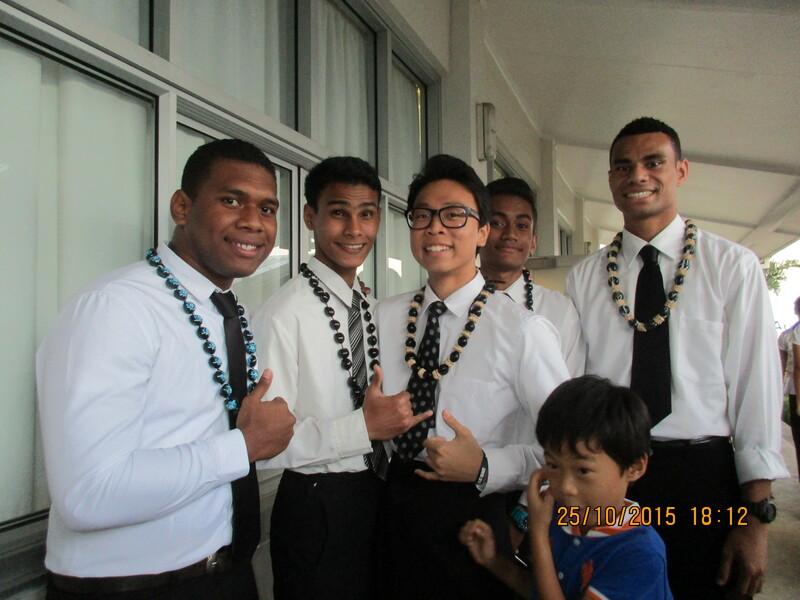 After the graduation, we hurried back to the LDS Primary School (which doubles as the Suva North Stake Center) to greet YSAs after an EQ Fireside, and listen as the YSAs practice songs for our upcoming stake conference. It was the perfect way to end the day. 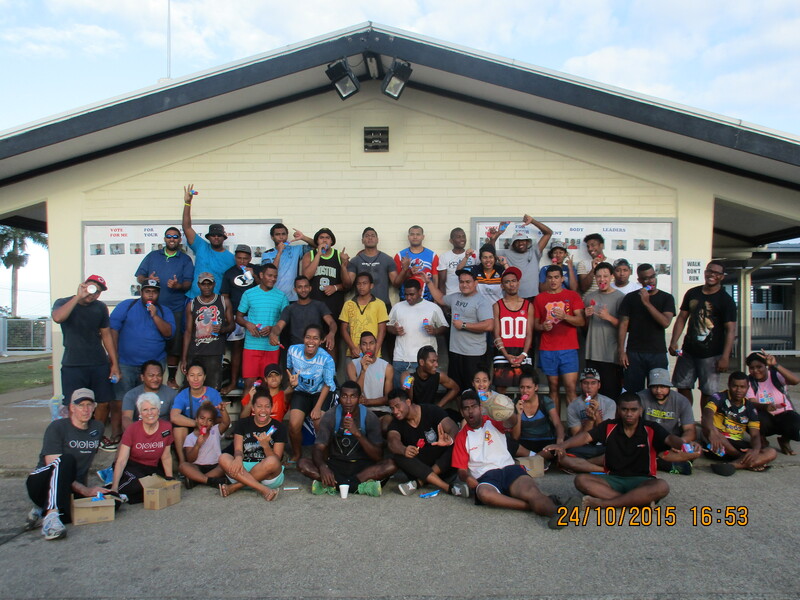 It was an amazing, busy week! As we catch our breath and get ready to start another, we’ll heed the counsel we heard yesterday: “Let us all press forward, eh?” Great counsel for “us-gang” and “you-gang,” don’t you think?